Casino.com Android Review - How does it Fare on Mobile? Casino.com is one of my favorite online casinos to visit on my PC. I love the fact that the casino has a great gaming library, great promotions, and fantastic bonuses. Thus, I was thrilled when I got the call from the office to review Casino.com for Android. I know that I have already told you Casino.com is great. Does its solid PC performance extend to Android smartphones and tablets? Read on to find out. My experience with Casino.com on Android likely started off a bit differently than yours will be. I already have an account at the casino, and therefore was able to bypass the registration process required of new players. In order to get an accurate gauge as to the registration process, I had my friend Tim come along and visit the site on his HTC One. He was able to get to the page with no issues, and was able to register his account in about three minutes. He said that he claimed the process was very simple, and being a gambling novice that is really saying something. After he was done with showing me how he registered his account, I was able to take back over on my device and log in. Upon logging into the casino lobby, I was surprised by just how nice things looked. The Casino.com mobile lobby gives almost the same look as the PC version and plays very well. Deposits: Identical To The PC… Which Is Great! The banking system at Casino.com is among the best that I have ever come across at a gambling destination. The varied options available for deposit through your Android device include: Visa, MasterCard, EcoCard, Maestro, Moneybookers, Skrill, Entro Pay, Bank Transfer, Ukash, PaySafeCard, ClickandBuy, Citadel, Click2Pay, and WebMoney. I ended up depositing through my Visa card on my Android, and had no issues getting my deposit put into the cashier system. My deposit was instantly accepted and I was able to move on to the games library of Casino.com. Because I already used Casino.com extensively in the past, I could not use the initial deposit bonus that Casino.com offers on my Android. I will tell you though, that this introductory bonus is fantastic if you are new to Casino.com. That initial bonus is good for a 100% match bonus up to $3,200. The rollover is a bit high at 40x, but the sheer amount of money that Casino.com is giving you to play with is impressive and gives you a good shot of hitting some massive wins. Other bonuses are also available, including monthly matches and much, much more. 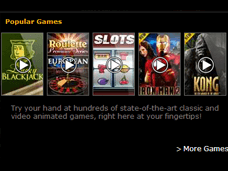 One of my favorite features on Casino.com’s PC client is the amount of quality games available for play. The site contains some big name games such as King Kong and Iron Man, and really gives a first rate performance for these slots. Unfortunately, Casino.com’s Android site is more limited, offering a total of around 20 games. This is a bit of a disappointment, as I have seen other casinos that offer dozens or hundreds of other games. It is my wish that Playtech (the company that provides Casino.com its games) adds more of its large PC gaming library to its Android casino platform. On the plus side, the games available are fantastic. Slots like Iron Man 2 and Captain’s Treasure Pro really stood out to me quality wise. I really got a kick out of the mobile slots, and think that they are some of the better quality ports that I have seen for an Android casino. 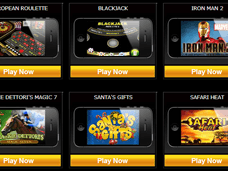 Table games are also limited, but the most popular games are here in Blackjack and Roulette. Both games play very well and left me wishing I could see Three Card Poker and other casino classics added to the library. Scratch cards are available at Casino.com as well, and I honestly can say that I did not play them. I am sure they play nicely enough, but I can’t say that I have ever gotten the urge to scratch a virtual lottery card on my Android. Casino.com’s banking system is great, as there are so many options available for both deposits and withdrawals. When I went to withdraw, I chose to have my Moneybookers account used as the payout account. I could initiate this on my Android, and I ended up having my money within 24 hours. This simple process is because I am a regular customer at Casino.com. Those who are new and requesting money can do so through their Moneybookers account, Neteller account, WebMoney, Click2Pay, Local Bank, MyCitadel, Wire Transfers, Credit Card Refunds, and Bank Draft. Players who haven’t submitted identity documents in the past will have to get off their Androids and scan some documents on their PC. This is an overall quick process and your request is generally processed very fast. I did not really engage the Casino.com staff for any issues on my Android, but I can tell you from past experience that the crew working here is fantastic. I have always had questions answered quickly, and never had to deal with a representative who was rude or hurried to get me off the line. If you have an issue at Casino.com on your Android, make sure to let the staff know. They will likely be able to give you the help you need, and sometimes help credit you or find better bonuses to dole out. Overall, Casino.com for Android is almost as good as its PC counterpart. Although it is missing many of the games that make the PC site so great, the games available are a lot of fun to play, and the banking and customer support are also fantastic. 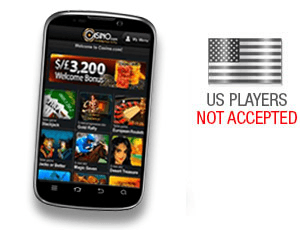 If you are planning on using your Android to gamble online, you should definitely consider Casino.com.